We are a team of health professionals who work together to provide a warm and supportive environment. Get your picture taken with your doc or therapist and post on FaceBook and get entered to win 2 tickets to Flames vs. Blackhawks on New Years Eve! Refer a friend, family member or co-worker between now and Christmas and both the referred and the referred are entered to win a 2 bedroom luxury condo in Canmore Feb. 3-10, 2018. 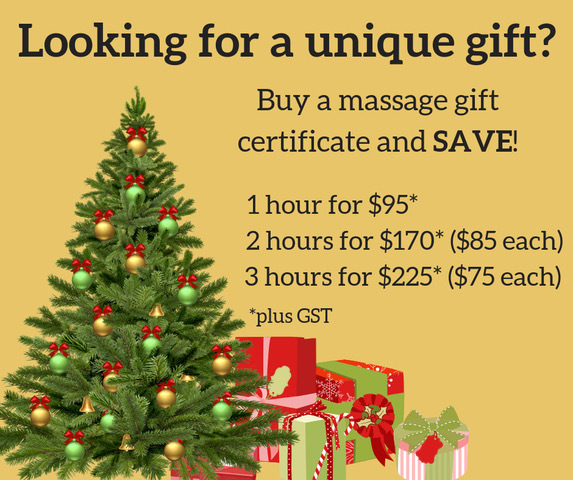 Have a massage between now and Christmas and receive $10 off or an additional 15 minutes on your next massage in January or February 2018. Our services include chiropractic care, naturopathic medicine, massage therapy, acupuncture, and counseling. We also provide laboratory services such as food sensitivity testing, hormonal analysis and nutritional assessment (vitamin D, iron, thyroid). Additional services include orthotics, cold laser therapy, Graston technique, BodyTalk, and Craniosacral therapy. Our patients are encouraged to be active partners in their journey back to their best health. Our services include chiropractic care, naturopathic medicine, massage therapy, acupuncture, counseling and dietary analysis. We also provide laboratory services such as food sensitivity testing, hormonal analysis and nutritional assessment (vitamin D, iron, thyroid). Additional services include orthotics, cold laser therapy, Graston technique, BodyTalk, and Craniosacral therapy. Our patients are encouraged to be active partners in their journey back to their best health. Our south Calgary clinic is conveniently located in the Chinook Centre Professional Building with plenty of free parking and excellent access from all parts of Calgary.